Recently one of my clients made a comment about this being the best time of the year. At first, I thought they were just talking about the season in general. As they continued, they clarified what they enjoyed about the season and unknowingly pointed out an inconsistency in our love and in our concern for low income people in our communities! The issue is “seasonal caring”. It happens this time of year when everyone is suddenly more concerned about the poor in our communities and give more. That was what my client likes about the season. They get more food, more attention, and more “stuff”. People are “nicer” to them. That is great, but as many have pointed out over the years, that ends with the New Year. Then it is back to “business as usual”. You even see it played out in the background of Dicken’s “Christmas Carol”. While the main plot is Ebenezer Scrooge’s transformation of the holidays, don’t miss the characters who were asking for money for the poor. 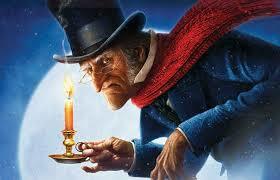 Scrooge responds by referring the poor to the government provided solution, which was dismal. The collectors don’t identify their program or approach, but they represented an alternative to the government solutions and were counting on “seasonal caring” to help meet the needs. Have you noticed how many groups increase their fundraising this time of year? Ever wonder why? They are fully aware of the situation. Of course, most of the “seasonal caring” is based on hand out ministry. It is the same philosophy of the government program. Please understand that I deeply appreciate and respect the churches who do give, most doing so on a year round basis. From the approximate 300 mental health clinicians in our city that rely on those Believers to help our clients, “Thank You!” But hand out ministry only meets the immediate need and is more often than not used as a regular ongoing support system. Although “seasonal caring” has some benefits, such as helping many ministries meet their annual expenses and helping some families have a better season, it does not really address the need. Poverty is not seasonal. It doesn’t just need solutions for the holidays or back to school. It is 365 days a year, year after year. Now that we are on our fourth or fifth generation of people trapped in government program support, we can say that poverty has become an accepted way of life for many because they have never known anything else. Living in “projects” and run down rental property, relying on others for the basics of life, etc. while seeing others supporting their families and driving nice cars around town is “normal”. Do you give more during the holiday seasons? Are you more aware of the low income people in your communities this time of year? What are your plans for making a difference in January? Did Jesus’ command us to “love our neighbor” only apply to certain times of the year? We, as followers of Jesus, need to set the pace for our communities in caring for the poor and providing real answers, not just handouts. We need to get back to being the salt and light that we were designed to be. Will we help them all? No. Many like the dependency. Can we help some? New LifeScape Ministry is based on the belief that God has called us, will equip us for everything we need to bring glory (credit) to Him and hope to the broken hearted. Along the way, we can bring people into a life changing relationship with Him!